Watch Perception Season 2 Episode 1 online via TV Fanatic with over 6 options to watch the Perception S2E1 full episode. Affiliates with free and paid streaming include Amazon, iTunes, Vudu, YouTube Purchase, Google Play, and Verizon On Demand. 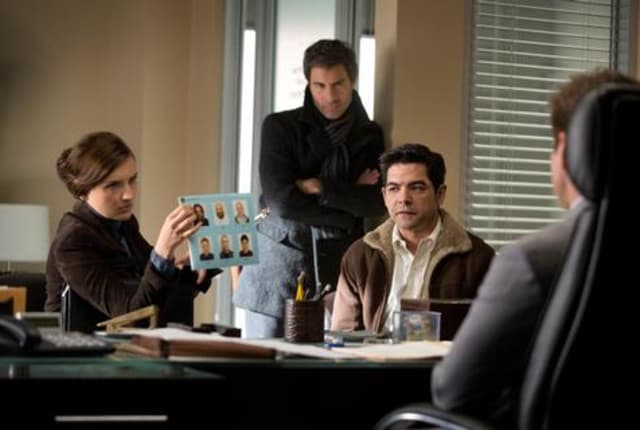 On the season 2 premiere of Perception, Moretti's soon to be ex-husband prosecutes a case where Pierce has to decide it the accused is competent to stand trial.